Posted on November 27, 2013 November 27, 2013 by thestreetnamesPosted in UncategorizedTagged Elizabeth Stride, Jack the Ripper, London, Whitechapel. 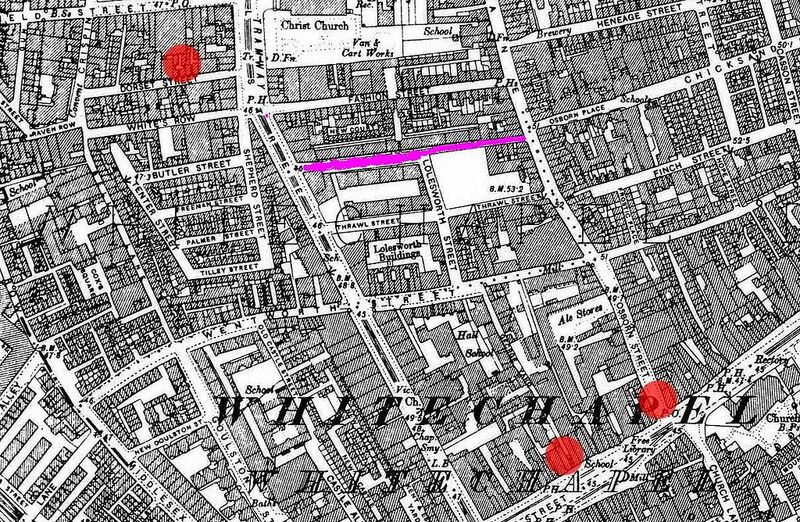 Flower and Dean Street was in the 1880’s the worst street in London. Dorset, Thrawl and George Streets (all in Spitalfields) were not much better.